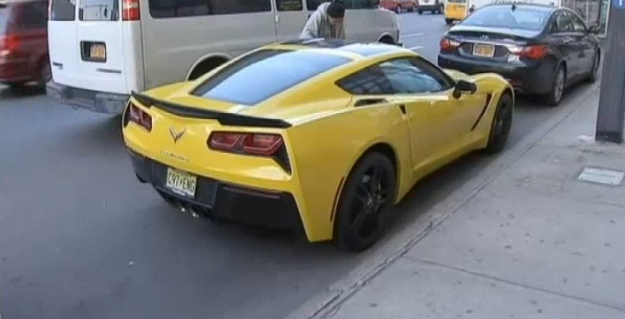 Buddy Valastro, better know as the ‘Cake Boss’, was arrested Thursday afternoon after NYPD officers allegedly discovered he was driving his Velocity Yellow 2014 Corvette Stingray drunk. They pulled the TLC star over once he swerved through traffic near Hudson Yards in Manhattan, NBC News reports. Police stopped Valastro after tailing his Corvette for a little while. They said he was “unsteady on his feet,” according to NBC, and had a flushed face and bloodshot eyes. He allegedly failed the breathalyzer test he was administered and was taken into custody. Valastro also allegedly admitted to having a few drinks before getting behind the wheel of the yellow Stingray. The New Jersey-born pastry chef is known for starring on TLC’s “Cake Boss” show, in which he bakes large, elaborate cakes in his Hoboken, NY bakery. Whether you’re a “Cake Boss” or not, there’s no excuse for (allegedly) driving drunk. Valastro made a good decision in buying his Z51-equipped Stingray, but a bad one in deciding to drive it after having a few too many. NBC’s report on the incident is below. What a silly, arrogant response. It’s too bad. He seems like a cool guy (with great taste in cars!) but he used poor judgement in getting behind the wheel after drinking. He’s lucky nobody was hurt. Hopefully this is a life lesson for him. Hopefully he will learn from this experience and use his celebrity status to encourage others not to drink and drive. I Agree with you, buddy’s one of the best chefs in recent times, a pastry genius, it’s a shame that he went on the wrong road like this. Poser come lately cake boss, I didn’t get to 500lbs eating salads, do they make a 3/4 ton corvette for guys like me? Perhaps buddy should make a current corvette stingray cake. Wow I look up to buddy hoping to go to new jerersy one day to the bakery if is arrested how long will it be?